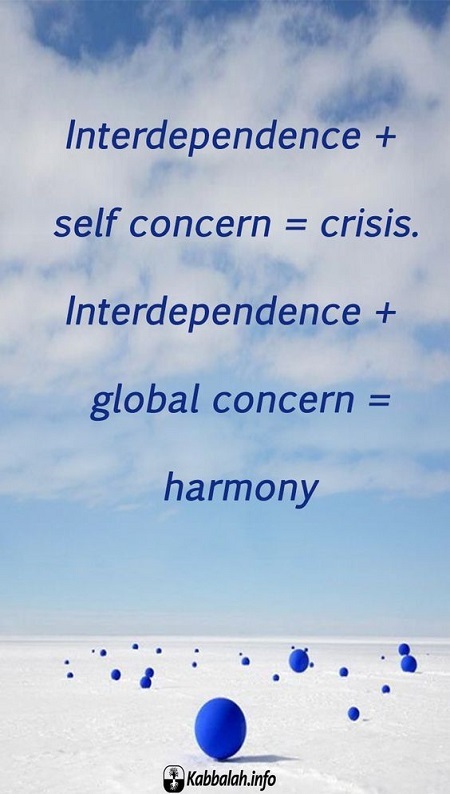 Interdependence + self concern = crisis. Interdependence + global concern = harmony. We are in a closed sphere, which affects us all around through the principle of unity. However, our egoism is opposed to this; on the contrary, it divides us, literally tears us apart. The world is integral; we are not. So, we need to change. Today, whether we like it or not, it is already impossible to play protectionism. A good connection is not a nice slogan, but an urgent necessity, stemming from all the studies, the facts.